Responsible Organization: ILEU e.V., in strong cooperation with DANET e.V. and the partners from the educational Network “Danube-Networkers” in all Danube countries. Work packages concerning the project “Tastes of Danube. Bread connects “. The “Tastes of Danube. Bread connects” project is divided into several work packages. Work package 1: Cultural Bread Route in the Danube Countries, the whole duration of the project. In this project, all involved groups from all countries of the Danube Region will be researching for existing bread baking houses, public bread ovens and existing mills (historic mills powered by water power, but also by wind power and electric mills) as well as bread festivals and will be documenting these in their country languages and in English in a previously specified form, the results will be collected and presented in the project website. Thus gradually, a Cultural Bread Route in the Danube Countries will be created. 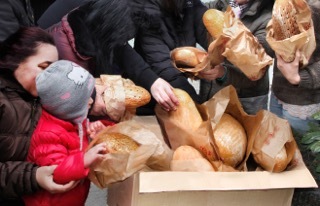 Through public calls in the media made by the project partners in the various countries, the public will be invited to participate in the research and to create bread baking actions as a means for social community building. Wherever possible, at least one baking event should be realized and recorded in the bakery houses (photographs, video, etc). In the same way, historical or currently operating mills will be mapped. In many places there are still cultural or religious festivals, which are closely linked to bread. These should also be researched and creatively documented in the project website. In this way, a lively and lifelike Cultural Bread Route in the Danube Countries will be created in the Internet, with historical and social references, in whose design many people of different population groups from the Danube Region countries will participate in in person as well as in a virtual way. Work package 2: Qualification for bread baking as a social event to promote community education with the motto “Bread connects”. Spring 2017. 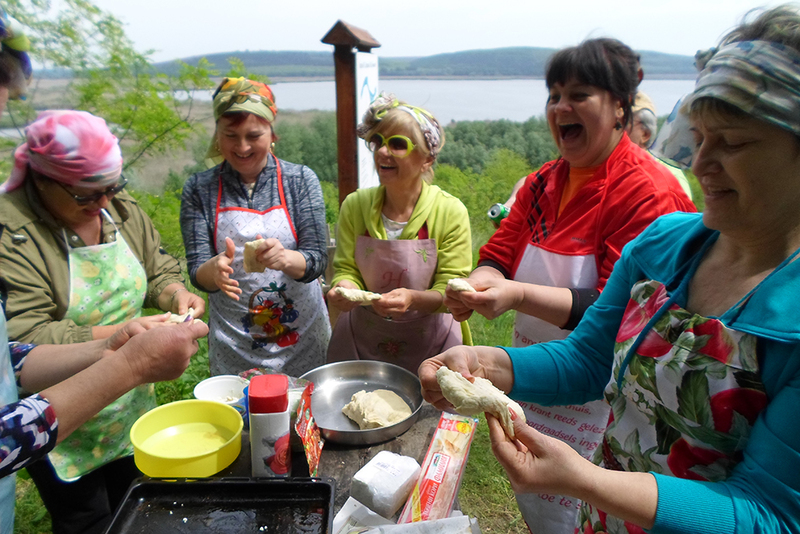 In a three-day training course, 16 representatives of selected institutions from at least 8 different Danube countries and 2 disseminators from Italy and France (1 person each) will be invited to the introduction to the theory and praxis of the method of “baking as a social event”, as it had been developed by Dr. Nadezhda Grigorova, Breadhouse Network Sofia. At the same time, activating methods of adult education and intergenerational learning will be taught with focus on strengthening the European dimension of the project. The qualification training will take place in Sofia in the spring of 2017. The seminar and all other related activities are documented in the project website. Work package 3: Pilot implementation of the methods of “Bread connects” and evaluation. Early summer 2017 to autumn 2017. The knowledge and skills acquired during the qualification training will be implemented and documented in pilot courses in the spring / autumn 2017. The implementation in the local context is aimed at different target groups: intergenerational groups, age-homogenous groups, disabled persons, fugitives, prisoners. The experiences will be evaluated at a European level in a workshop in the late autumn of 2017. The evaluation tools will be developed by ILEU e.V. together with the partners in DANET e.V. Work package 4: Transfer phase of the methods “Bread connects”. Autumn 2017. In late 2017 participants of the international qualification seminar will organize one-day national qualification seminars in selected places / institutions, also in Italy and France, to introduce other disseminators to the methods of “social baking” and to create further social meeting places. The aim is to achieve the widest possible degree of dissemination of the methods and to increase the number of participants. Work package 5: Organization of a Danube Bread-Baking Week in October 2017 in all Danube countries. From 7th to 16th of October 2017 there is to take place a Danube Bread-Baking Week in all Danube countries. On these days, events with and around bread baking will take place at all partner locations. A media campaign on the local, national and international level should make this week known in advance, call for participation and point out the importance of bread as an important part of cultural heritage. Work package 6: Practical implementation of the methods in many locations. From 2017 to early summer 2018. The project is to be implemented in as many places as possible in collaboration with local institutions (museums, adult education centers, senior’s groups, etc.). Transnational events should take place in mutual visits of individuals and groups involved in the project. Work package 7: Conference on Cultural Heritage and Danube Bridge Breakfast. July 2018. In July 13, 2018, a conference on Cultural Heritage will take place in Ulm in the frame of the 11th International Danube festival Ulm/Neu-Ulm. There will be lectures from experts speaking about cultural heritage as an identity-building measure and on the topic of “bread” as an intangible cultural heritage. The partner groups, who had participated in the qualification seminar and had applied the methods in their institutions or baking houses, will report about their experiences and the possibilities of transfer of the methods. Topics such as Social Entrepreneurship and Qualification should inspire new fields of activity. Also presented will be the results of the documentation of Bread Houses as Places of Community Building along the Danube, as well as the results of researches about mills. Through joint baking activities in Ulm and Ulm Region on Saturday 14th and the Danube Bridge Breakfast on Sunday 15th of 2018 the Danube guests will come into contact and exchange with citizens in the Ulm area. If possible, there should be a Danube Networkers stand at the Danube festival, where products from the different partner groups / countries will be sold. The results of the research Cultural Bread Route in the Danube Countries, will be documented in a digital manual. On the basis of the described project activities, handouts about the implementation of the methods of “social learning through bread-baking” will be created for various target groups in the national languages, also digitally, and made accessible to the general public.